Register here so that we can keep you up-to-date with new materials and the latest developments. The conference showcased the latest trends, product development initiatives and marketing innovations from the UK and overseas. Here you will find our entire collection of downloadable resources, from reports and brochures to images and videos - all of which have been developed to benefit beef and lamb businesses. Introducing greater consistency across the sector casserole sector; from product description, in-store signposting, cut specification and cooking methodology can return the category to growth. The Quality Standard Mark Scheme for beef and lamb was developed to address key consumer concerns about the eating quality of red meat. In order to carry the QSM logo all beef and lamb must be produced and processed through a fully assured and independently audited supply chain. We work closely with operators from farm-gate to plate to produce high quality beef and lamb and many QSM Scheme members are reaping the benefits. 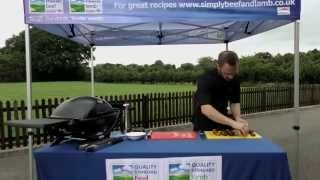 AHDB Beef & Lamb has teamed up with barbecue chef Richard Holden to create a new series of cookery demonstration videos featuring a range of cuts that are ideal for use on the barbecue or grill. 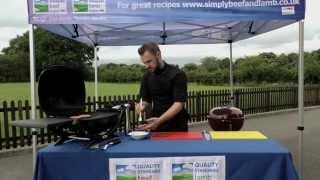 A variety of beef, lamb and pork cuts are showcased in the videos including steaks, burgers and kebabs. Watch to discover more. 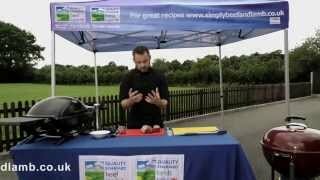 In this video, barbecue chef Richard Holden, cooks up some beef, lamb and pork kebabs. 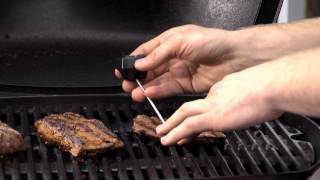 In this video, barbecue chef Richard Holden, cooks up a variety of alternative steak cuts, including the Flat Iron and Thin Cut Tender Top Steak. In this video, barbecue chef Richard Holden, cooks up a variety of burgers. 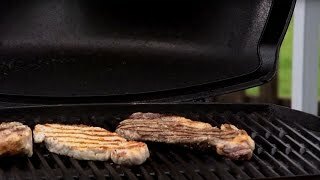 In this video, barbecue chef Richard Holden, cooks up a selection of tasty steaks. In this video, barbecue chef Richard Holden, cooks up a selection of mini roasting joints. Cuts featured in the video include: Topside Mini Joints (with added fat) – Code: Topside B006, Mini Roast (Topside) – Leg L011 and Mini Roast (Thick Flank) – Code: Leg L013. 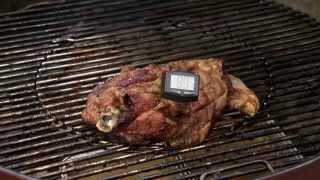 In this video, barbecue chef Richard Holden, cooks up a ‘Rustic’ Lamb Shoulder (Code: Forequarter L028) on the barbecue and shreds it before serving. establishment call the Quality Standard Mark Hotline. *The only charge for this call will be your phone company's access charge. AHDB Beef and Lamb Head Office address: Agriculture and Horticulture Development Board, Stoneleigh Park, Kenilworth, Warwickshire, CV8 2TL. AHDB Beef and Lamb is a division of the Agriculture and Horticulture Development Board (AHDB).